More than 40 class action suits have been filed in the last three years for improper handling of biometric information. Fingerprints captured by an employer is the classic case. The troubles started with an Illinois law, enacted in 2008, designed to protect the privacy of people’s biometrics information, including retina scans, fingerprint scans, voice prints and facial geometry. The Biometric Information Privacy Act or (BIPA), doesn’t ban use of biometric technologies outright; rather, it addresses privacy protection. Protect the information with a reasonable standard of care. Penalties include $1,000 for negligent violations and $5,000 for reckless or intentional violations. The first class-action defendant was Facebook in 2015, followed by Google, Shutterfly and Snapchat. Early suits tended to focus on facial recognition in online photographs. Cases against these companies are still working their way through the courts. Hyatt was sued on this on Oct. 30. United Airlines was sued Nov. 7. 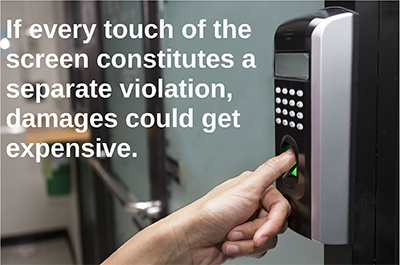 If every touch of the screen constitutes a separate violation, damages could get expensive. Winston and Strawn point to a number of defenses. The definition of an identifier is untested in the facial recognition context. The typical harm to a plaintiff may be too abstract or immaterial to give rise to standing. When defendant organizations have national footprints and only minimal operations in Illinois, jurisdictional questions arise. Ferrari names a handful of states with similar legislation in the works. Whether your state is one of those or not, here’s advice from Ferrari for every business using biometric technology. Employ an opt-out structure for customers. Although biometrics are on the rise and present a convenient way to authenticate identities, individuals are worried about privacy (or at least claim to be) and lawyers are holding companies accountable. 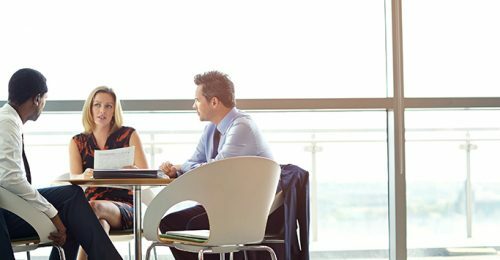 With a few careful measures, corporate legal departments can avoid litigation and step safely around the landmines in the next-class action battleground.